Janice Faye (Long) Winge, went to her heavenly father Thursday, January 31, 2019. Her wishes were to be cremated. Memorial Service to honor her life will be held 11:00 A.M. Monday, February 4, 2019 at Redeemer Lutheran Church in Cisco, Texas officiated by Reverend Tom Chandler. Janice was born on October 8, 1949 to Fred and Thelma Long in Littlefield, Texas. Janice attended and graduated from Olton High School in 1968. 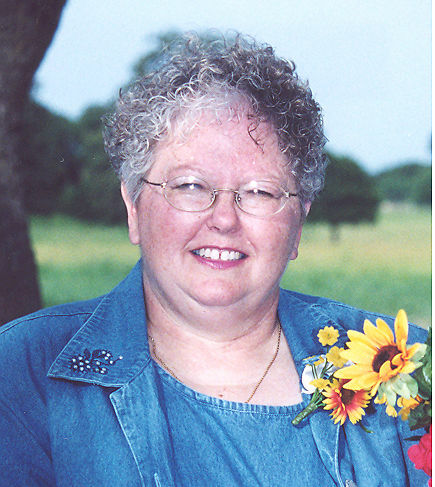 She was a graduate of Northwest Texas Hospital School of Nursing in 1971 and a graduate of West Texas State University in 1975 with her Bachelor of Science and Nursing. Janice married James Emil Winge in Cisco Texas on July 29, 1977. Janice worked 35 years at Eastland Memorial Hospital. She was a proud supporter of the 4 H program and worked many of the Eastland County Livestock Shows with her children. She was an active member of Redeemer Lutheran Church and was always willing to help where she was needed. Janice was an avid quilter and spent many hours working on Prayer quilts as a member of Redeemer Quilters to take to anyone who was in need. Survivors are her husband James Winge of Cisco, Son: Karl Winge and wife Kerstin of Cisco. Daughter: Telitha Bush and husband P.J. of Cisco. Sisters: Bennie Reyes of Denton and Betty Long of Roswell, New Mexico. Brother: Gale Long of Olton, Texas. Brother-in-law: David Winge of Cisco and Sister-in-law Myrtle Hall of Santo, Texas. One grandchild: Kilye Winge of Cisco. Janice was preceded by her parents Fred and Thelma Long. Memorials have been requested to Redeemer Childhood Learning Center Building Fund in care of Redeemer Lutheran Church, 1711 Conrad Hilton Blvd, Cisco, Texas 76437.